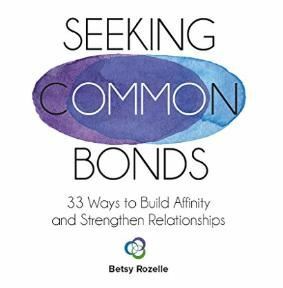 As a local trainer, author and owner of Rozelle Communication, Betsy is excited to offer to NEW ATD members and non-members the opportunity to attend her Affinity-Building Workshop. Betsy's book, Seeking Common Bonds, will be available for purchase at a reduced rate. Click Here to read the reviews on Amazon, including a review by Dr. Mary McNevin, who is a former board member of national ATD. Betsy Rozelle is Chief Affinity Builder with Rozelle Communication. She's an enthusiastic trainer, author, and public speaker. She's the new VP of Programming for Northeast WI ATD, enjoys facilitating women's Bible studies, is active in Rotary International and her local church, and is somewhat obsessed with on-line word games and pasta. Betsy and her husband Ben live in Neenah, WI, as empty nester parents of a daughter, son-in-law, and son in heaven. She'll be happy to tell you (along with a lot of pictures) about her adorable 9-month-old granddaughter! 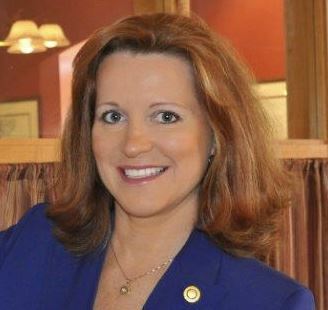 For more information about Betsy and building affinity, visit http://www.buildaffinity.com.